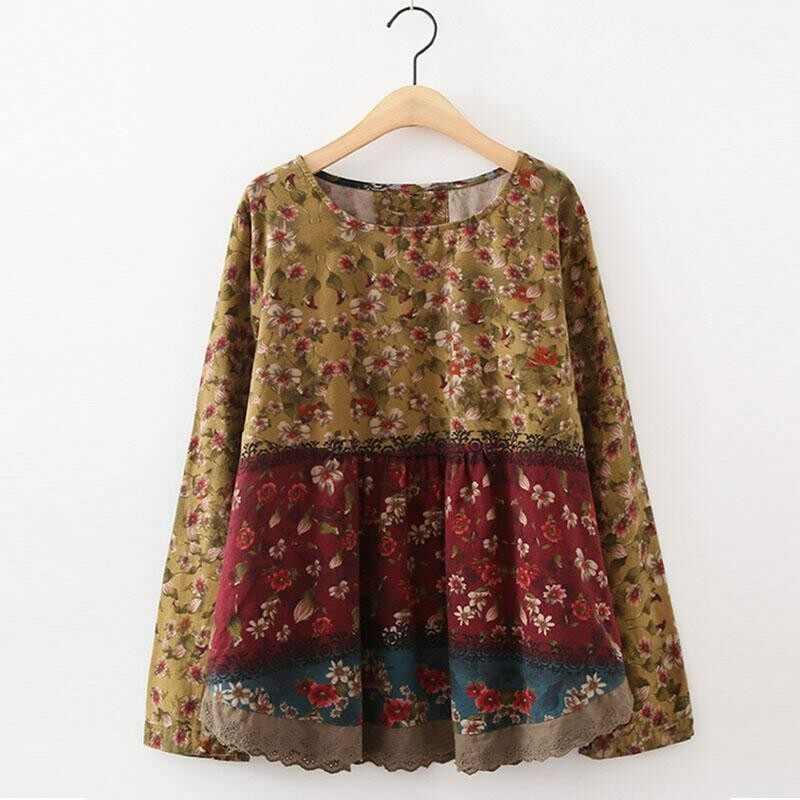 Material:100%Cotton Type:Blouse Color:Green,Blue,Wine Red Package include:1 Blouse Product Detail: -Floral Printed Pattern -Patchwork Style -Loose Version Attentions: 1.The Real Object May Exist Slightly Colors Differences Compared To Images As Different Computers Display.Caution If Minding,Thanks. 2.There Might Be A Manual Measuring 1-3 cm Error.Sorry For Any Inconvenience. 3.Please Prevail On Real Item, Model Images For Reference Only.